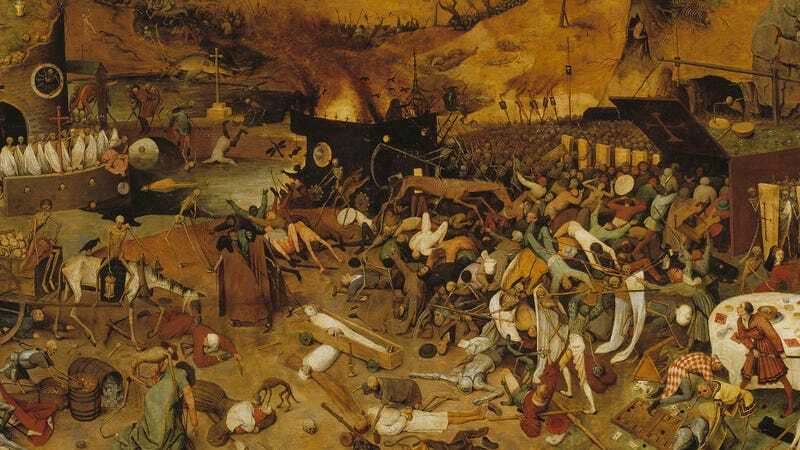 Though it was responsible for tens of millions of European deaths in the mid 14th century, the Medieval Black Death left a surprisingly positive consequence in its wake. According to a new study, surviving generations lived longer and had better health than ever before. This is the topic of a recent paper published by Sharon DeWitte in PLos One. "Following the epidemic, there were improvements in standards of living, particularly in dietary quality for all socioeconomic strata," she writes. "This study investigates whether the combination of the selective mortality of the Black Death and post-epidemic improvements in standards of living had detectable effects on survival and mortality in London." The evidence from this study that survival and mortality were affected in positive ways by the Black Death raise the question of what was the proximate cause of these changes. Were the demographic changes a direct result of the selectivity of the epidemic, i.e. the selecting out of frail individuals such that the surviving population was less frail because of inherent biological factors? Or were improvements in diet and other standards of living more important causal factors in these demographic trends? These two possibilities are not necessarily mutually exclusive, as both were ultimately the results of the massive mortality caused by the Black Death. Read the entire study at JOURNAL: "Mortality Risk and Survival in the Aftermath of the Medieval Black Death."